Here’s a public service announcement for anyone who uses a Brother printer. These printers tend to give you a message about the toner being low long before the toner cartridge is really empty. Just cover the sensors on both sides of the toner cartridge housing with a piece of black electrical tape, and you will be able to print freely until you decide when the toner truly needs replacing. Which will probably be when your prints start looking faded, not when the company decides it can’t wait to sell you a new toner cartridge. Pictured here is the TN360 toner cartridge. My DCP-7040 can also use the TN330 cartridge. 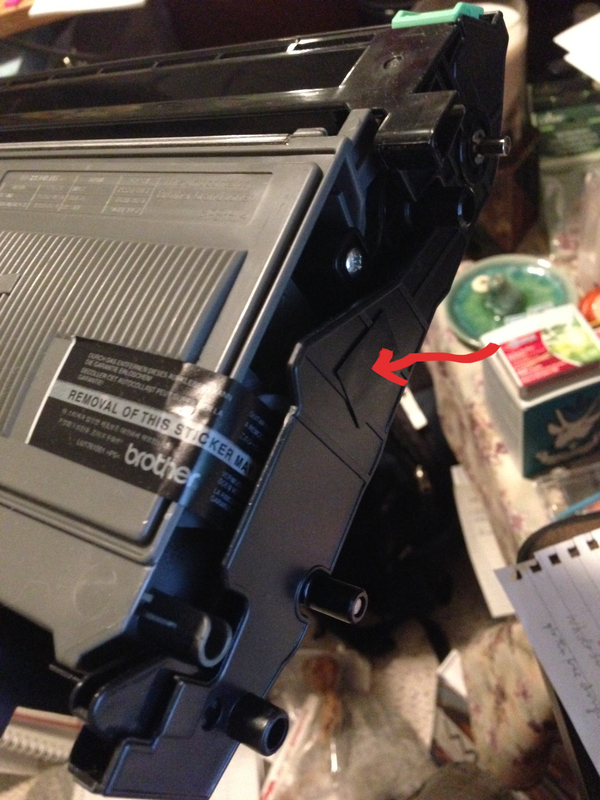 Cover the sensor (there’s one on each size of the toner cartridge housing) with a piece of electrical tape.